I started training in Ju Jitsu in the April of 1985. A good friend of mine asked me if I wanted to go with him. As I had trained in several different martial arts (Judo, Ishin Ryu Karate, Shotokan Karate, Wing Chung) since I was 8 years old he thought I might like to give Ju Jitsu a go. In the first lesson a black belt demonstrated a white belt straight arm lock on me and realised that this was a very effective and practical martial art. From that moment on I was hooked. 20 years later I am still training and teaching professionally, 16 classes a week. My friend on the other hand found another interest who later became his wife but his children have become excellent students and he remains a good friend. I started competing in national and local competitions back in 1986 as a purple belt where I was awarded a silver medal for random attacks. Over the many years that followed I progressed to achieve National, International and United Nations champion. Throughout the years of competition I have travelled to many countries and made friends across the world. On several occasions many of my students have attained equally high rankings and made both myself and the Jikishin organisation very proud. I passed my 1st Dan (black belt/Shodan) grading in May 1988 at which point I was already teaching an adult class in Epping. I was very lucky to have as my Sensei (teacher) the head of our association who had been one of my biggest inspirations who set me on the path to realising my dream of making Ju Jitsu my life. My big break came, believe it or not, when I was made redundant from my full time job. With encouragement from Professor Terry Parker I opened my very first club in Harold Hill in 1995. It originally started as a junior class with 3 students and adult class with 4 students. In a short time the class had expanded in numbers, so much so that we introduced a second junior training session and at the same time the adult students grew in numbers. 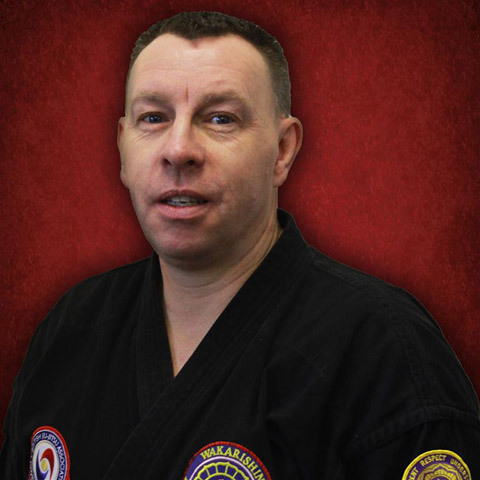 With the unfortunate death of a greatly respected man Sensei Brian Devlin, I was invited to teach the South Woodham Ferrers and Chelmsford clubs. Over the next few years the classes expanded and adapted to individual needs of the students. I found that teaching both parents and children at the same time allowed a common interest to be shared by families, to that end I opened a Sunday morning class in Basildon that, whilst taught separately, allowed all members of a family to train at the same time in the same place. Alongside the syllabus approved by the BJJA(GB) and Jikishin I teach a wide variety of techniques that have been proven to have real world application to both my scheduled classes as well as my private students (including schools, individuals and organisations such as the national youth theatre). So I am now living my dream of being a professional martial arts instructor. At the rank of 7th Dan I still believe there is always room for improvement: New things to learn, new methods of getting the best from my existing students & myself, new ways of promoting the martial art I love & new people to meet. If you would like to find out more please follow the contact links or just come along to any of the classes listed, you are most welcome to do so. With our first lesson free policy the only thing you stand to lose is an hour or two of your time what you will gain may include greater levels of fitness, an increase in self confidence, increased ability to face some of life’s more "challenging" situations and you will become part of an extended family.